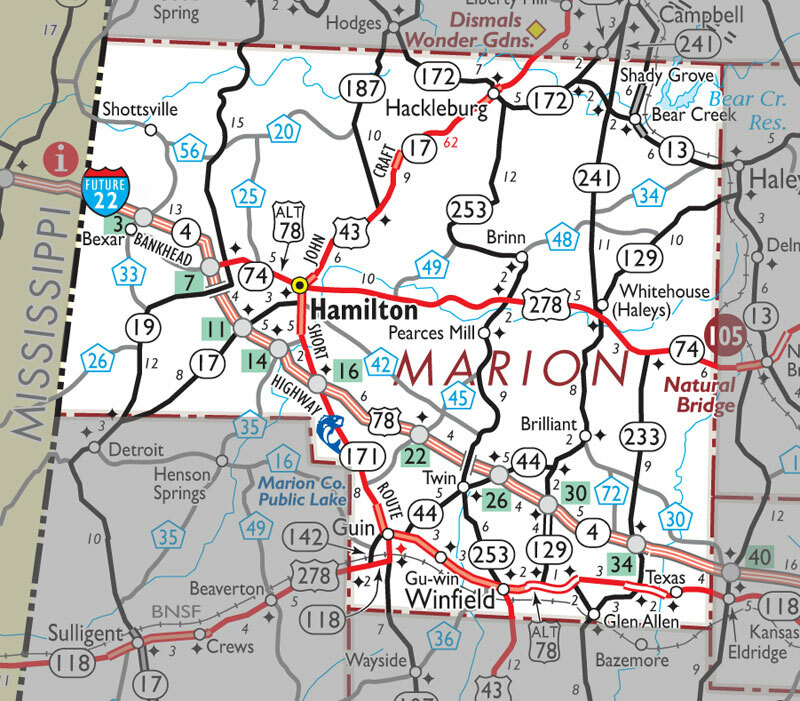 HAMILTON - Jason Finch, 28, Detroit, and Kendrick Nalls, 36, Fayette, were both arrested on Friday, Aug. 4, and charged with drug trafficking, possession of a controlled substance, drug paraphernalia and chemical compound. Finch and Nalls are both being held at the Marion County Jail in Hamilton under bonds of $1,508,000 each. Marion County Chief Deputy Jeff Davis told the Journal Record that the charges were related to the 31.2 grams of methamphetamine found in a vehicle with Finch and Nalls. Davis also said that the unusually high bond amount is also directly connected to the amount of drugs found in the vehicle. “The drugs were discovered after Finch and Nalls were stopped during a regular license check we (the Marion County Sheriff’s Department) set up with the Guin and Brilliant police departments. The checkpoint was at the intersection of State Highway 44 and State Highway 253,” Davis began. “Both guys had warrants out for their arrest, and the driver (Finch) did not have a driver’s license,” Davis said. When the officers discovered the warrants for the two men, Finch and Nalls were taken into custody, and a full inventory was taken of their vehicle. “When we take somebody in, a wrecker comes to take the car and then we perform a full inventory of the vehicle, looking for any illegal substances,” Davis said. The officers’ search of the vehicle led to the discovery of unlawful chemical compounds used to make drugs and other paraphernalia, including over 31 grams of meth.